^ Witzel, Morgan. Fifty Key Figures in Management. Routledge. 2003: 207 [September 21, 2015]. ^ J.P. Morgan's Way. Pearson Education. 2010: 2 [September 21, 2015]. ^ Vincent P. Carosso; Rose C. Carosso. The Morgans: Private International Bankers, 1854-1913. Harvard University Press. January 1, 1987: 31–32. ISBN 978-0-674-58729-8. 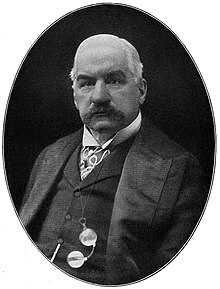 ^ JP Morgan biography - One of the most influential bankers in history. Financial-inspiration.com. March 31, 1913 [April 7, 2013]. （原始内容存档于2005年10月16日）. ^ 5.0 5.1 Zinn, Howard. A People's History of the United States. : 255. ISBN 978-0060937317. ^ Wasson, R. Gordon. The Hall Carbine Affair: a study in contemporary folklore. Pandick Press. 1943. ^ Josephson, Matthew. The Robber Barons. Harcourt, Brace & Co. 1995: 61ff . ISBN 9780156767903. ^ Morris, Charles. The Tycoons. New York: Holt Paperbacks. 2006: 337. ISBN 978-0805081343. ^ Rottenberg, Dan. The Man Who Made Wall Street: Anthony J. Drexel and the Rise of Modern Finance. University of Pennsylvania Press. 2006: 98 [September 21, 2015]. ^ Timmons, Heather. J.P. Morgan: Pierpont would not approve.. BusinessWeek. November 18, 2002. ^ Morganization: How Bankrupt Railroads were Reorganized. [January 5, 2007]. ^ The value of the gold would have been approximately $72 million at the official price of $20.67 per ounce at the time. "Historical Gold Prices – 1833 to Present"; National Mining Association（英语：National Mining Association）; retrieved December 22, 2011. 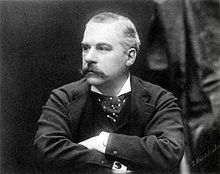 ^ J.P. Morgan: Biography. Biography.com. A&E Television Networks, LLC. [December 8, 2015]. ^ Gordon, John Steele (Winter 2010). "The Golden Touch"，存于互联网档案馆, American Heritage.com; retrieved December 22, 2011; archived from the original on July 10, 2010. ^ Ostrander, Stephen J. All the News That's Fit to Print: Adolph Ochs and The New York Times. Timeline. 1993, 10 (1): 38–53. ^ 17.0 17.1 17.2 17.3 17.4 Krass, Peter. He Did It! (creation of U.S. Steel by J.P. Morgan). Across the Board (Professional Collection). May 2001. ^ Garraty, John A. The United States Steel Corporation Versus Labor: the Early Years. Labor History. 1960, 1 (1): 3–38. ^ Fridson, Martin S. It Was a Very Good Year: Extraordinary Moments in Stock Market History. John Wiley & Sons. 1998: 6 [September 21, 2015]. ^ Michael Burgan. 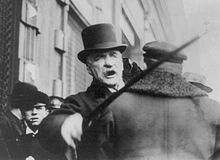 J. Pierpont Morgan: Industrialist and Financier. 2007: 93. ^ 27.0 27.1 Seifer, Marc J. Nikola Tesla: The Lost Wizard. ExtraOrdinary Technology. 2006, 4 (1). ^ Cheney, Margaret. Tesla: Man Out of Time. New York: Simon & Schuster. 2001: 203–208. ISBN 0-7432-1536-2. ^ Franch, John. Robber Baron: The Life of Charles Tyson Yerkes. Urbana: University of Illinois Press. 2006: 298. ISBN 0-252-03099-0. ^ Clark, John J.; Clark, Margaret T. The International Mercantile Marine Company: A Financial Analysis. American Neptune. 1997, 57 (2): 137–154. ^ Meyer Weinberg, ed. America's Economic Heritage (1983) 2: 350. ^ Andrew Carnegie’s Legacy 互联网档案馆的存檔，存档日期2010-03-02.. carnegie.org. Retrieved August 20, 2014. 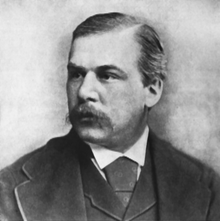 ^ J. P. Morgan; October 31, 2009; Microsoft Encarta Online Encyclopedia; 2006; Archived site;. ^ The Epic of Rockefeller Center’ - books. TODAY.com. September 30, 2003 [April 7, 2013]. （原始内容存档于2013年5月28日）. ^ Strouse, Jean. 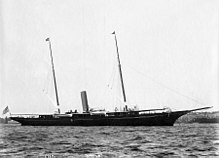 Morgan, American Financier. Perennial. 2000: 265. ISBN 978-0-06-095589-2. ^ The Episcopalians, Hein, David and Gardiner H. Shattuck Jr., Westport: Praeger（英语：Praeger Publishers）, 2005. ^ J. P. Morgan Home, 219 Madison Avenue. Digital Culture of Metropolitan New York. 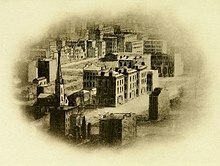 Digital Culture of Metropolitan New York is a service of the Metropolitan New York Library Council. [March 15, 2015]. ^ Business Education World, Vol. 42. Gregg Publishing Company. 1961: 32. ^ Daugherty, Greg. Seven Famous People who missed the Titanic. Smithsonian Magazine. March 2012 [November 15, 2012]. ^ Biography. Edward S. Curtis. Seattle: Flury & Company: 4. [August 7, 2012]. （原始内容存档于2012年8月7日）. ^ The North American Indian. ^ The Indian Picture Opera—A Vanishing Race. ^ 现代奇迹 episode "The Stock Exchange" originally aired on October 12, 1997. ^ Morganite 互联网档案馆的存檔，存档日期2003-12-06., International Colored Gemstone Association, accessed online January 22, 2007. ^ Carr, Caleb. The Alienist. Random House. 1994. ^ Doctorow, E.L. Ragtime. Random House. 1975. ^ Drachman, Steven S. The Ghosts of Watt O'Hugh. 2011: 2, 17–28, 33–34, 70–81, 151–159, 195. ISBN 9780578085906. ^ Citizen Kane (1941). Filmsite.org. May 1, 1941 [April 7, 2013]. ^ Turpin, Zachary. Interview: Phil Orbanes, Monopoly Expert (Part Two). Book of Odds. [February 20, 2012]. （原始内容存档于2010年5月2日）.